Combine all ingredients in saucepan. Cook 5 minutes, stirring frequently. Use for meat, chicken or fish. Divide evenly. Makes 4 servings, about 1/2 cup each. Combine all ingredients, except chicken and parsley; divide in half. Brush chicken pieces with half the sauce. Barbecue as usual, basting repeatedly with sauce, until done to taste. 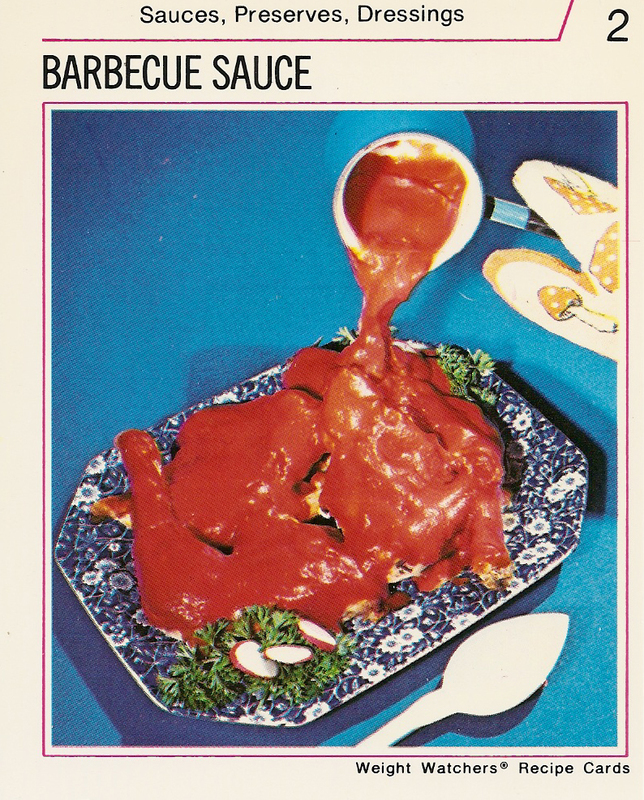 Heat remaining sauce; pour over chicken. Garnish with parsley, Divide evenly. Makes 4 servings. Combine all ingredients in a small saucepan. Bring to a boil; reduce heat, and simmer 15 minutes to thicken. Divide evenly. Makes 12 servings, about 1/4 cup each.